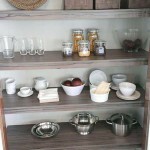 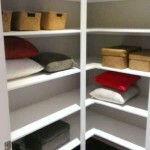 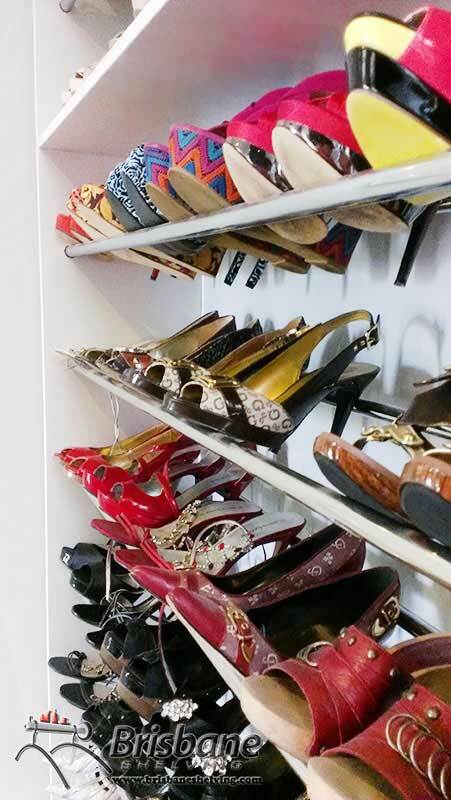 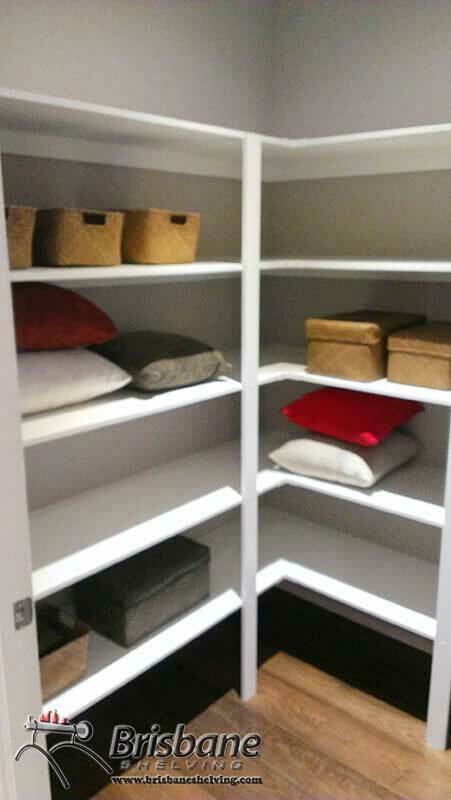 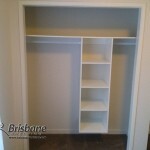 One of Brisbane Shelving’s main benefits is that we can customise all our products. 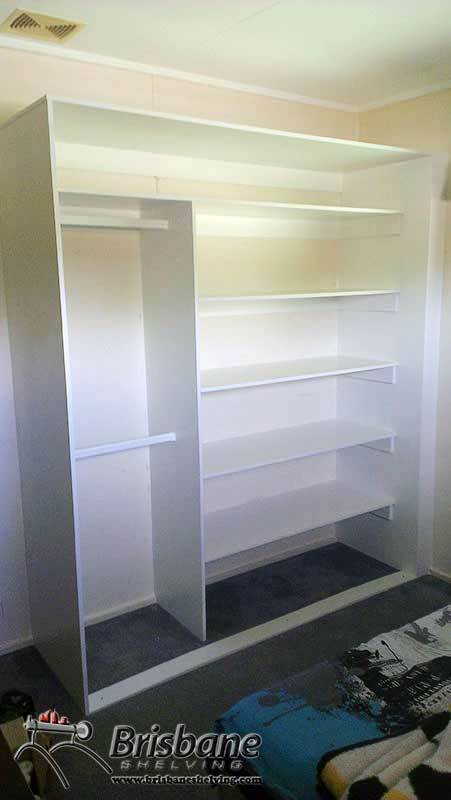 Each of the styles can be remodelled to accommodate your living space the way you’ve imagined it. 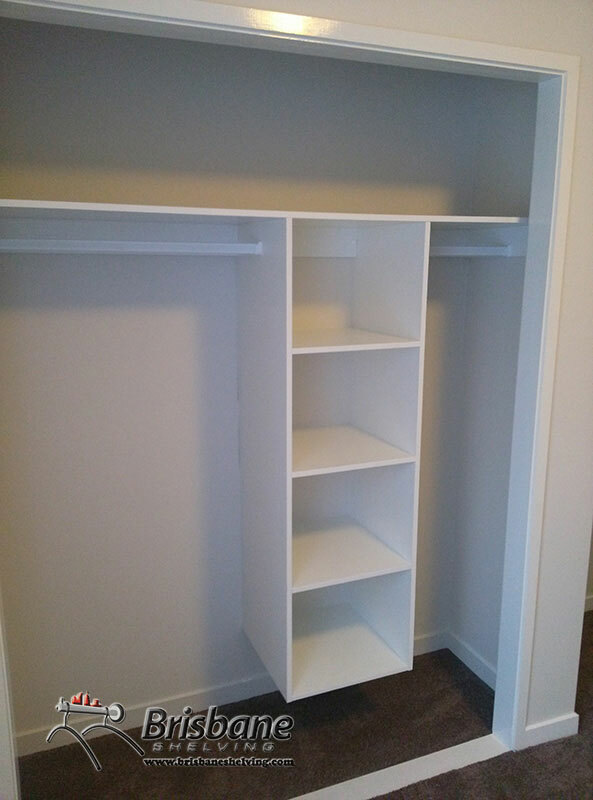 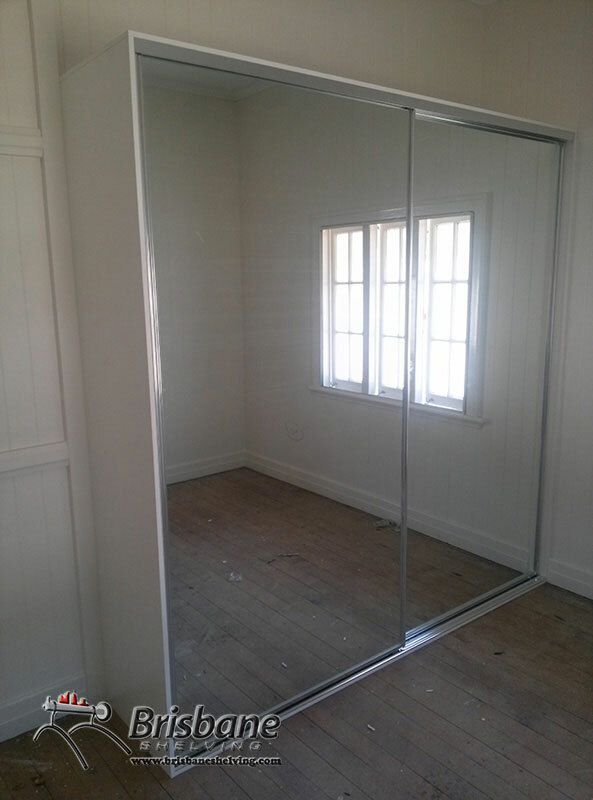 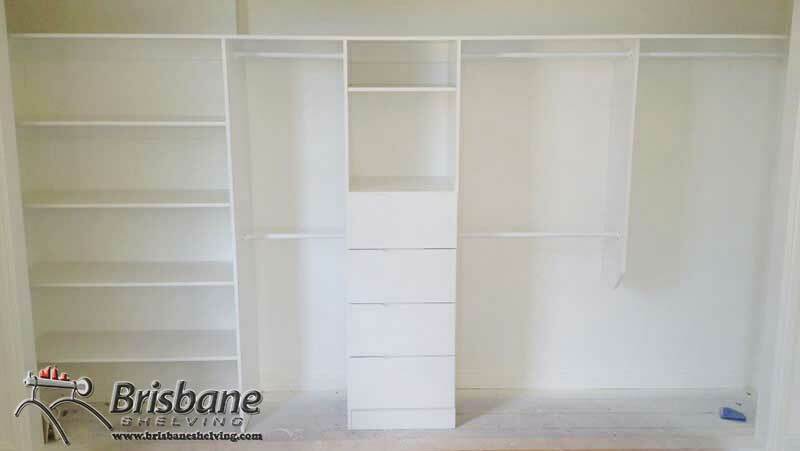 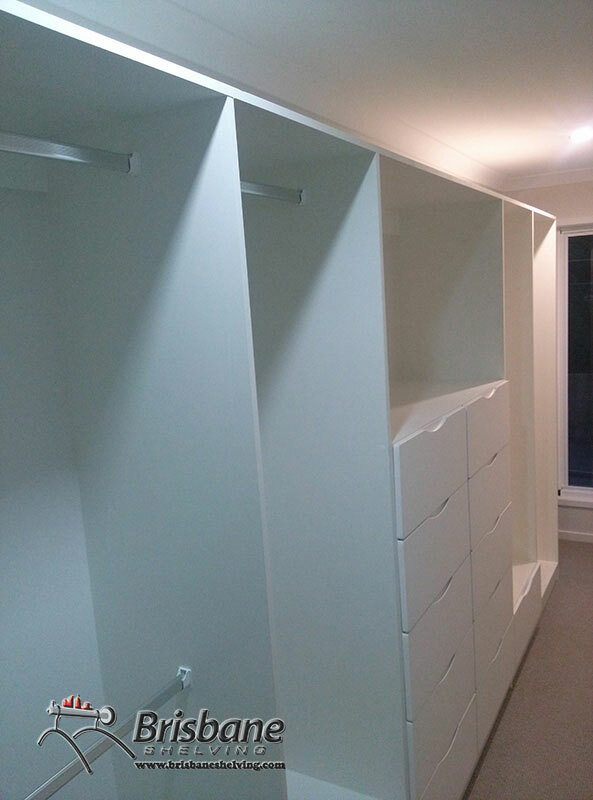 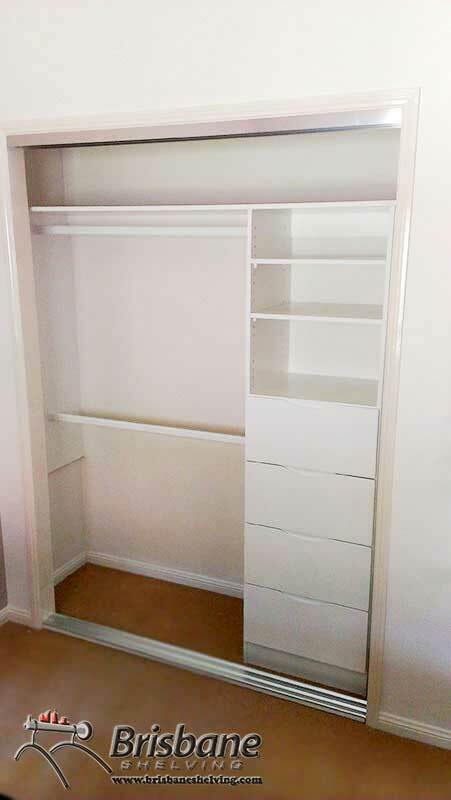 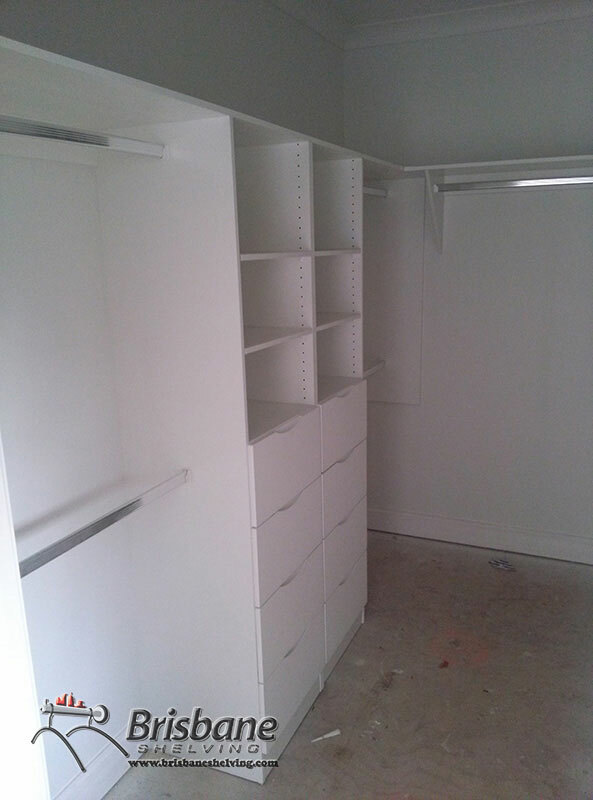 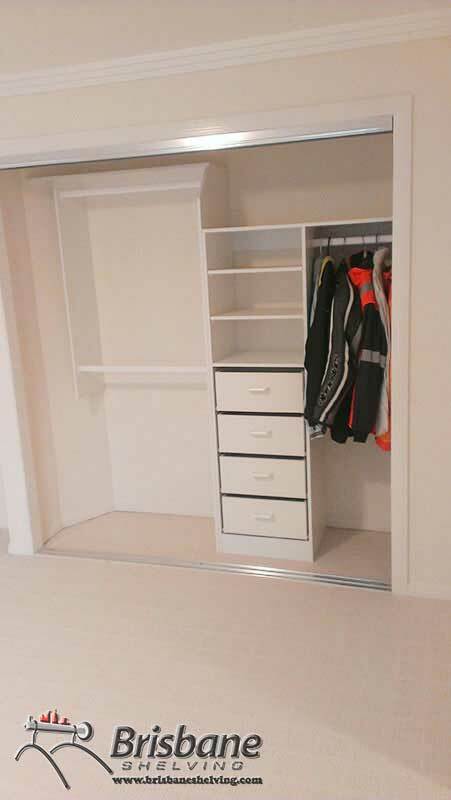 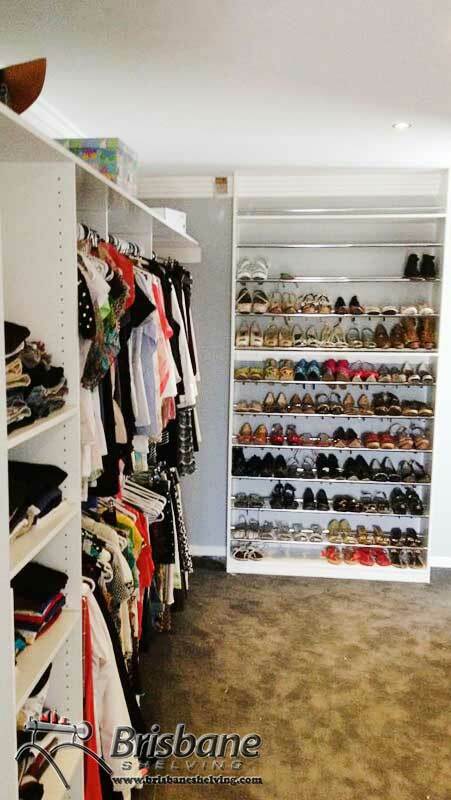 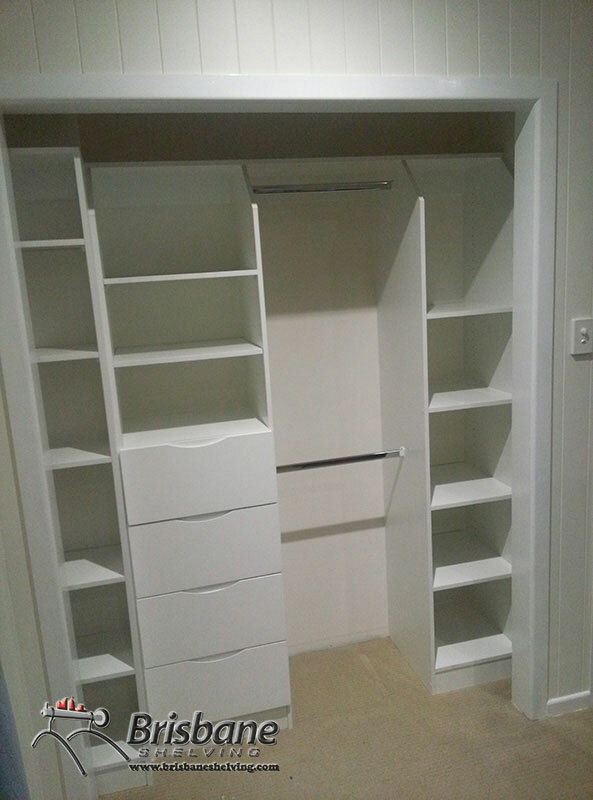 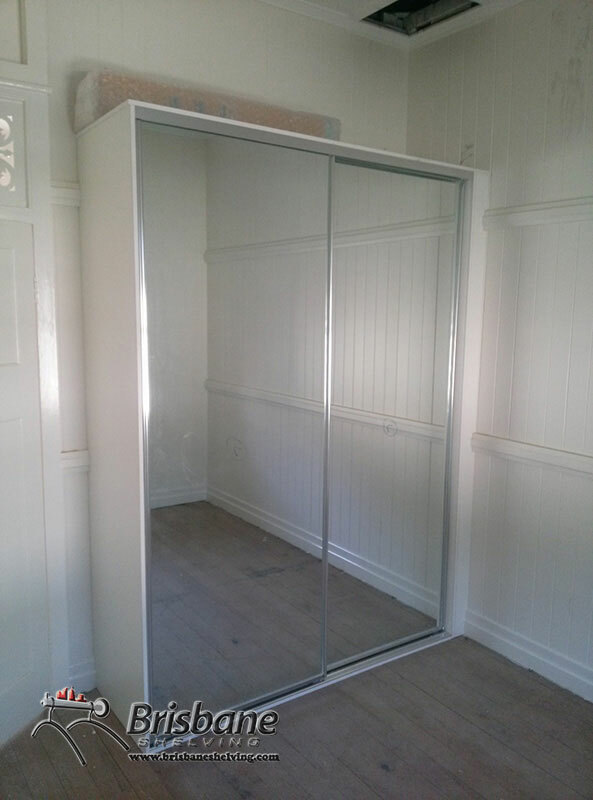 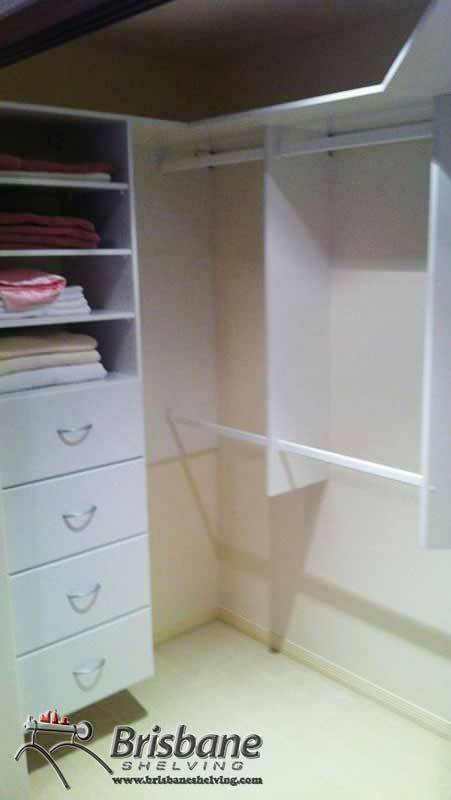 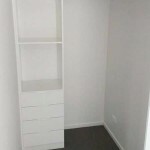 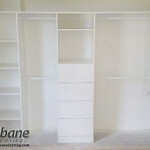 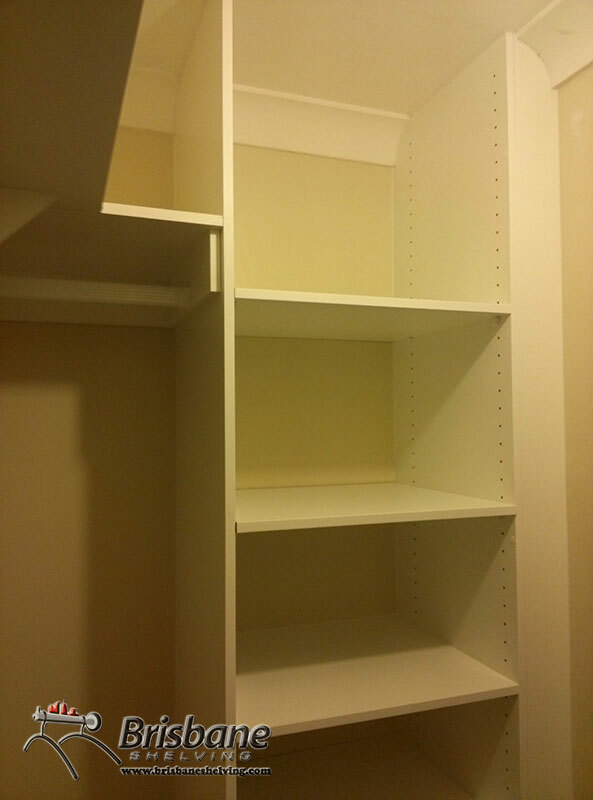 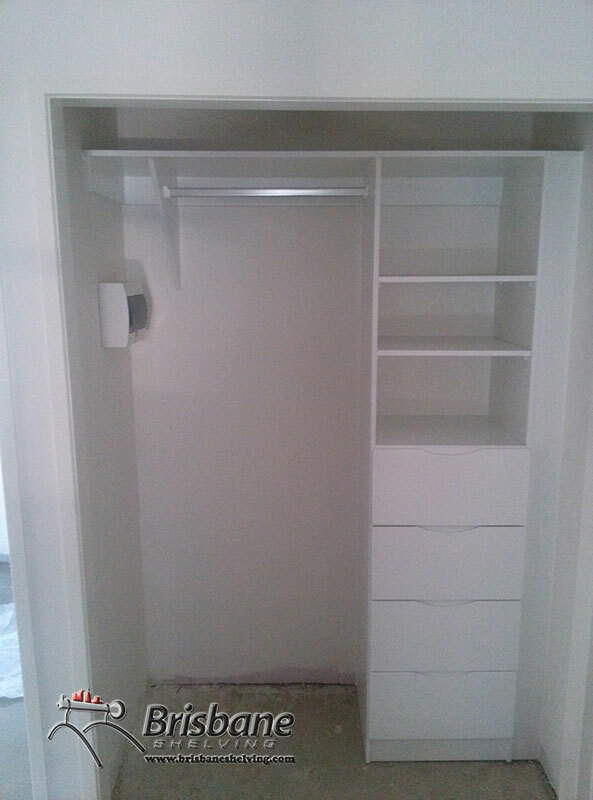 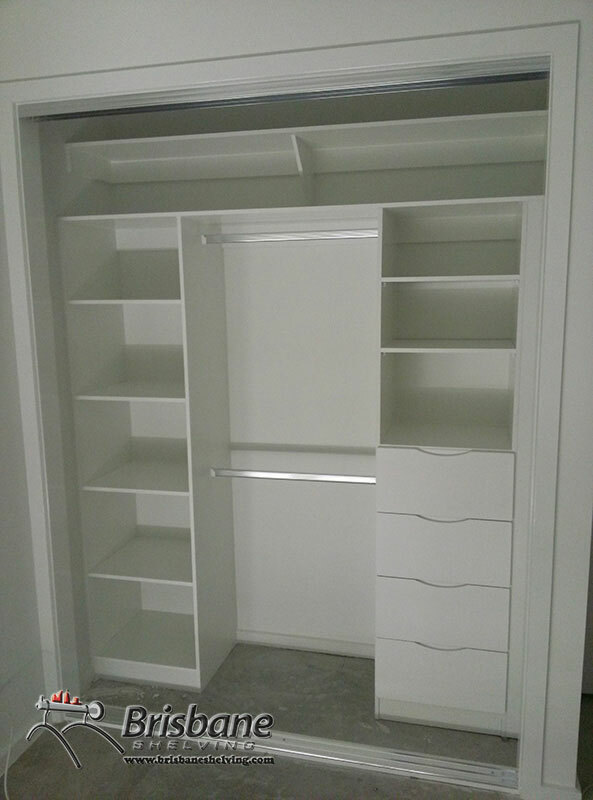 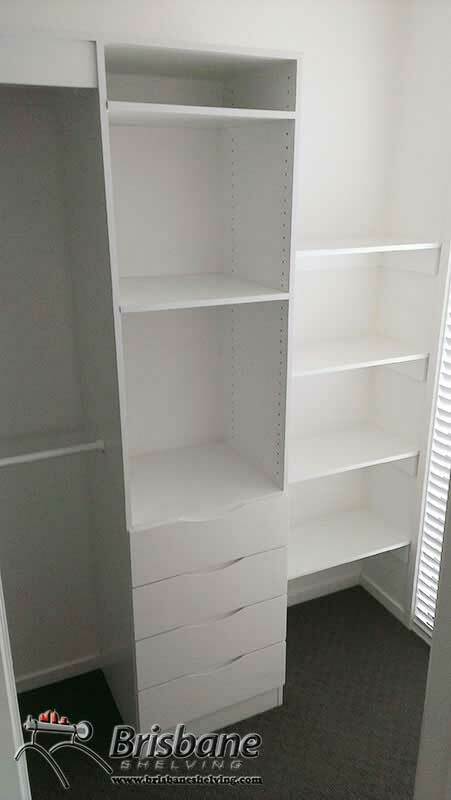 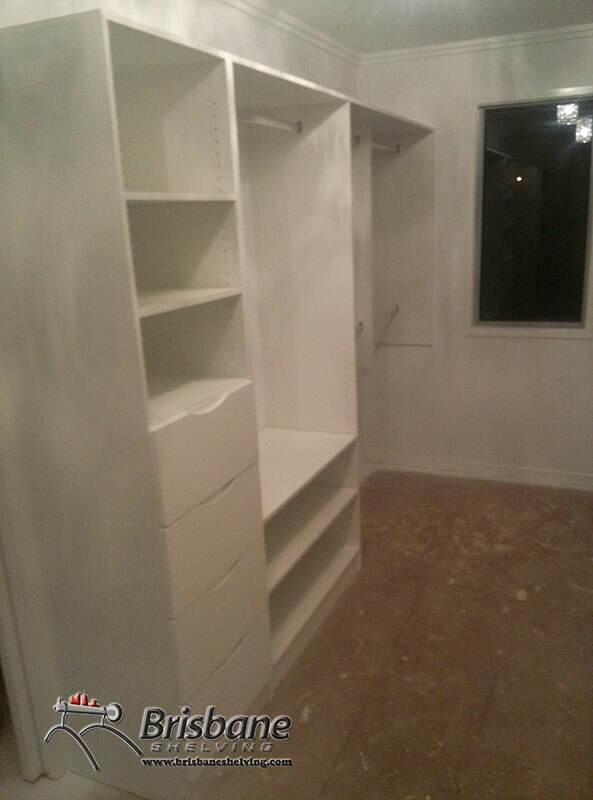 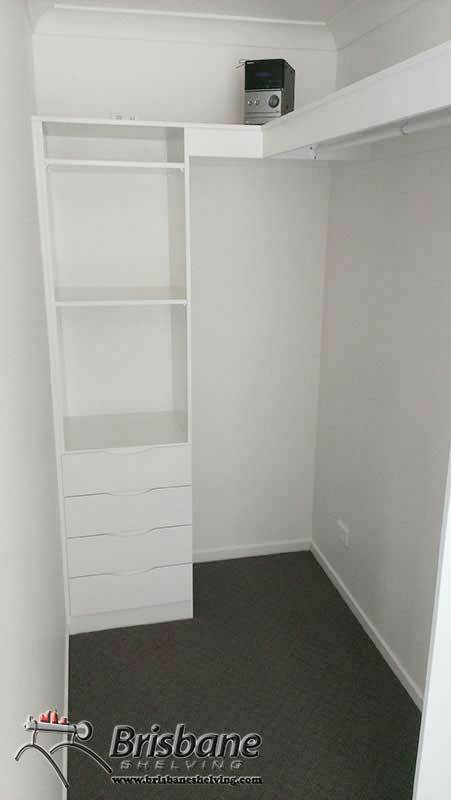 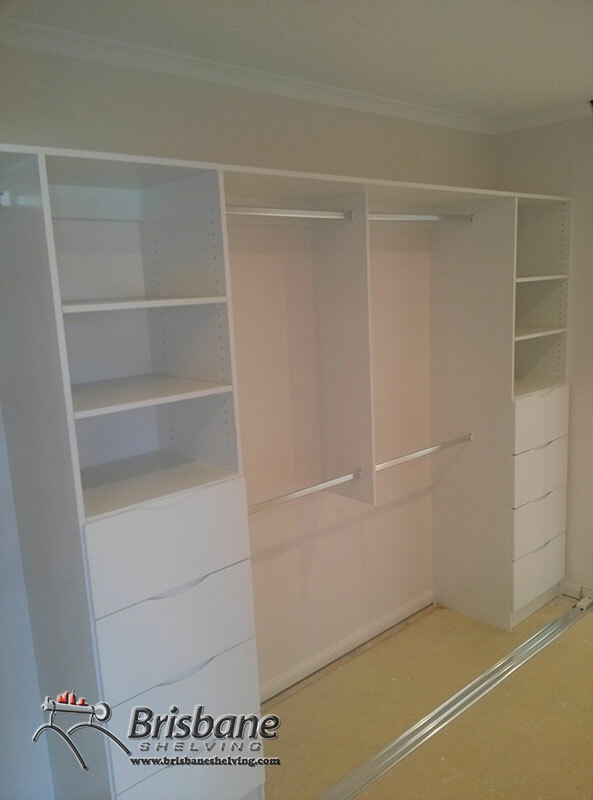 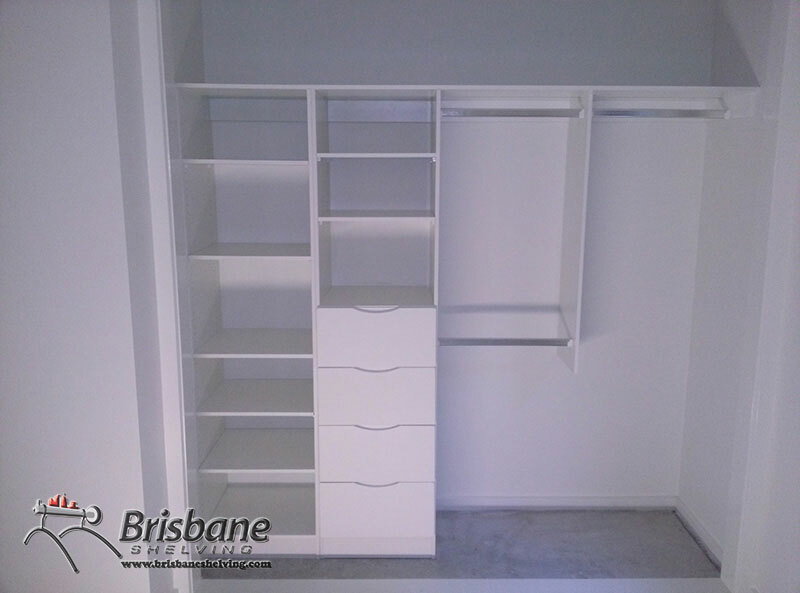 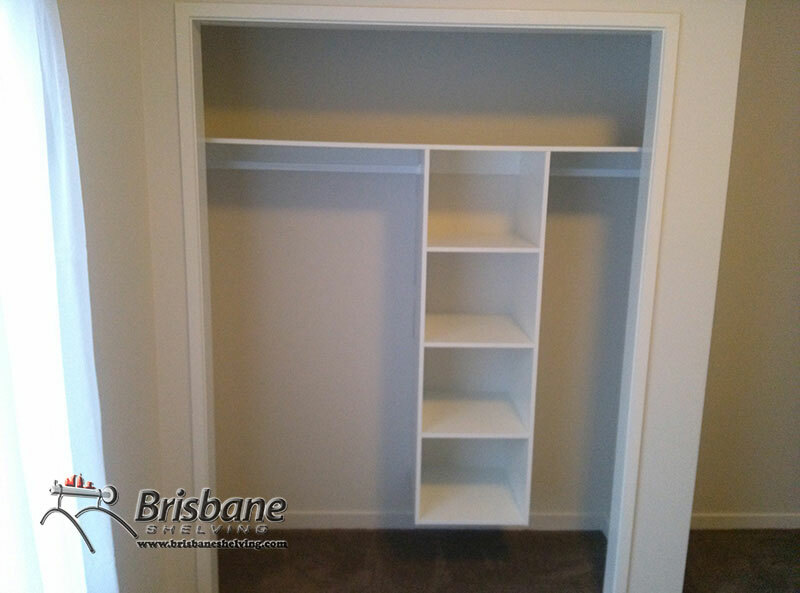 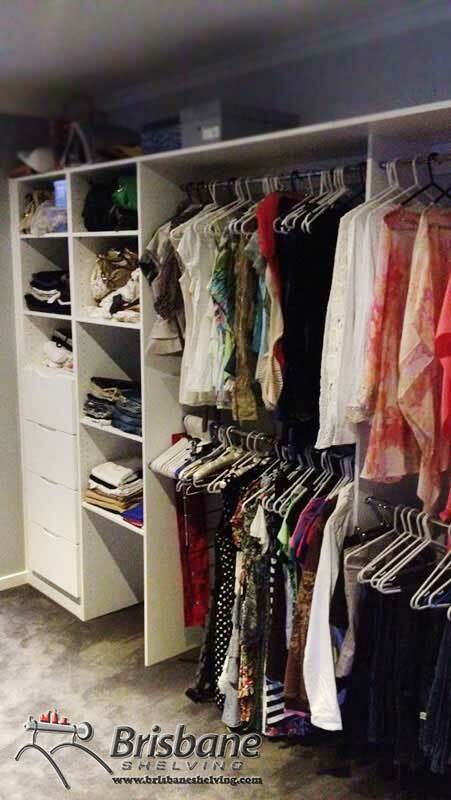 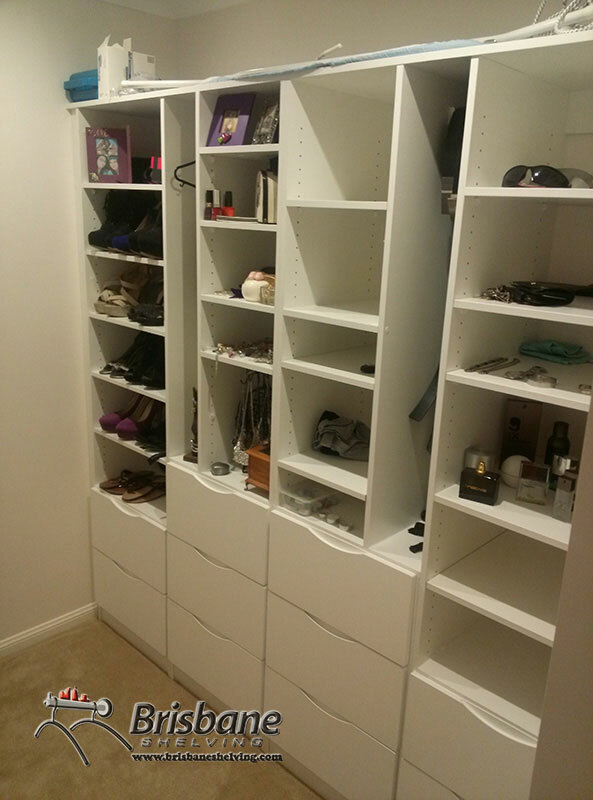 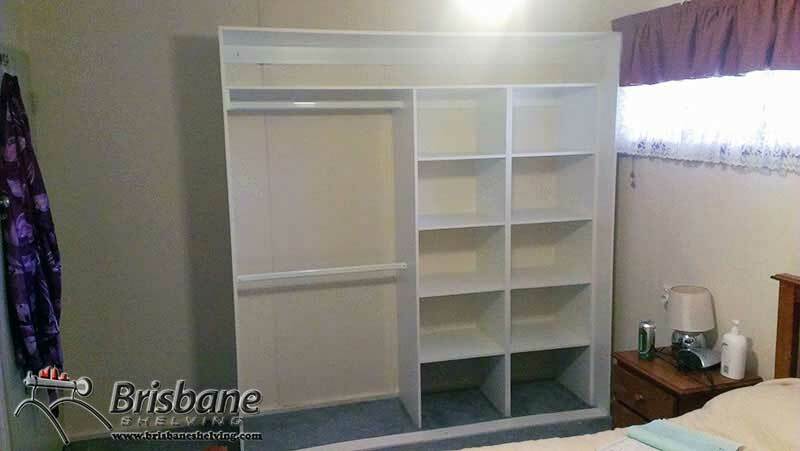 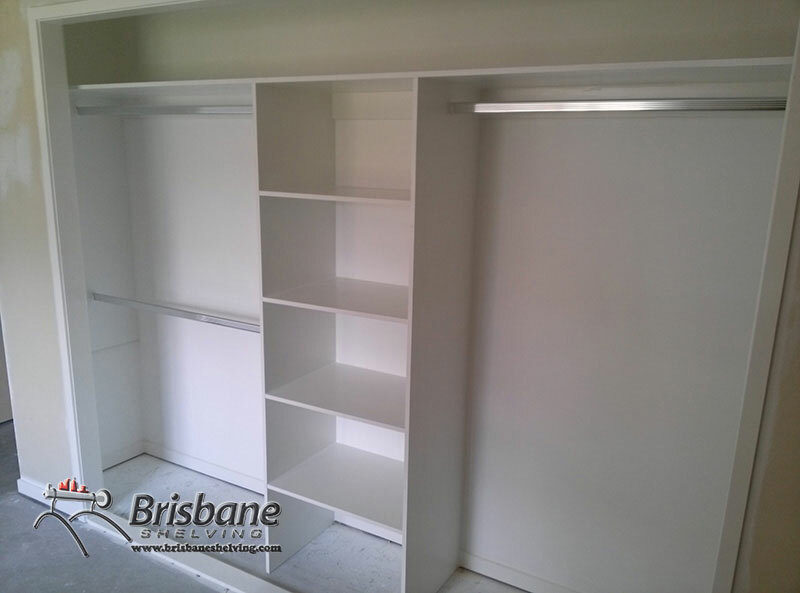 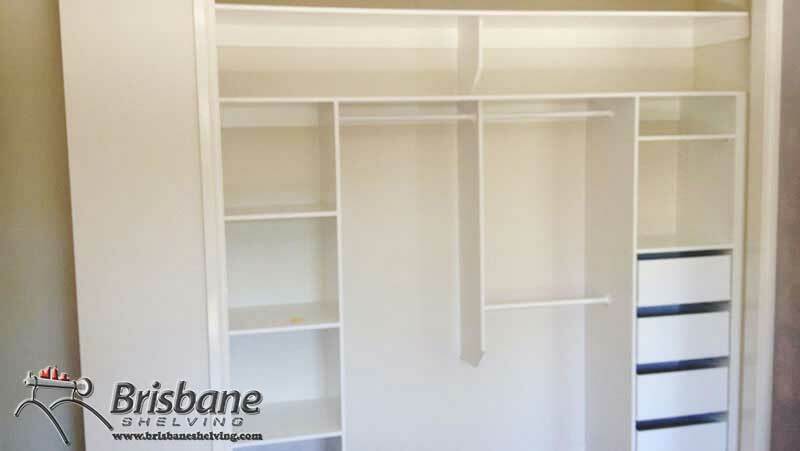 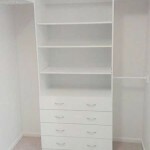 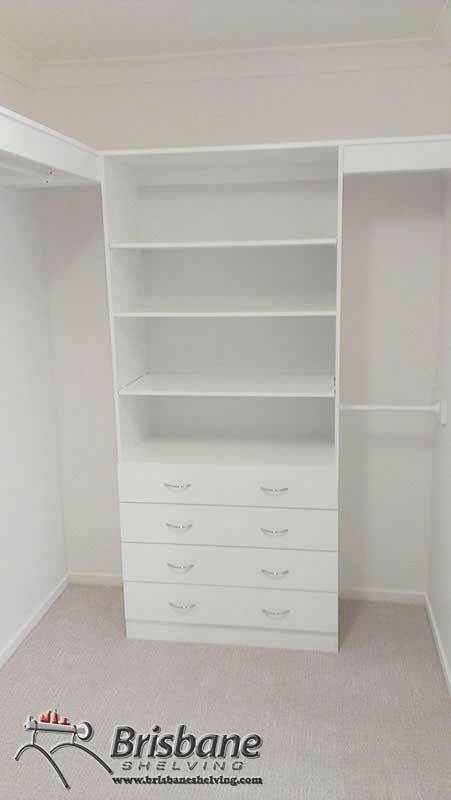 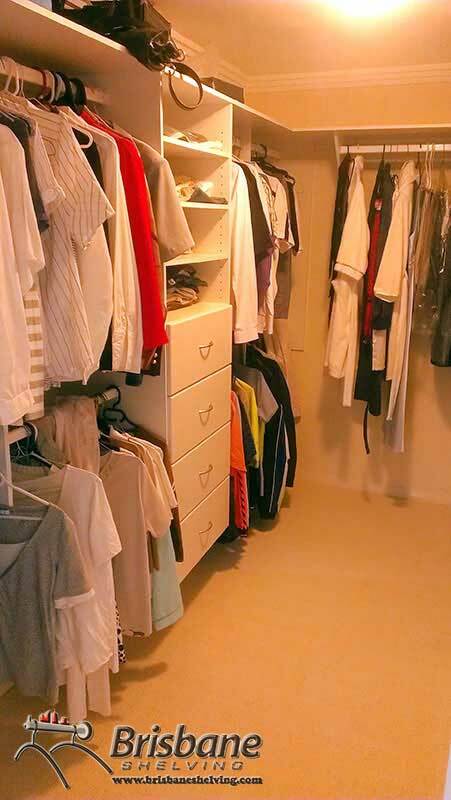 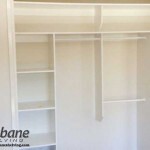 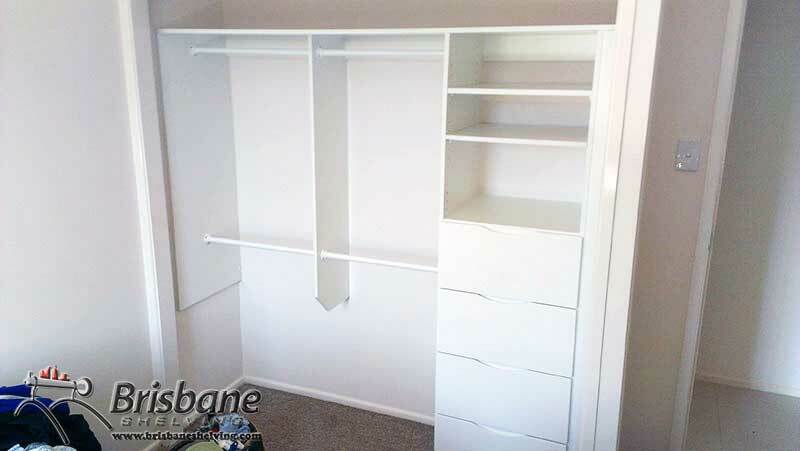 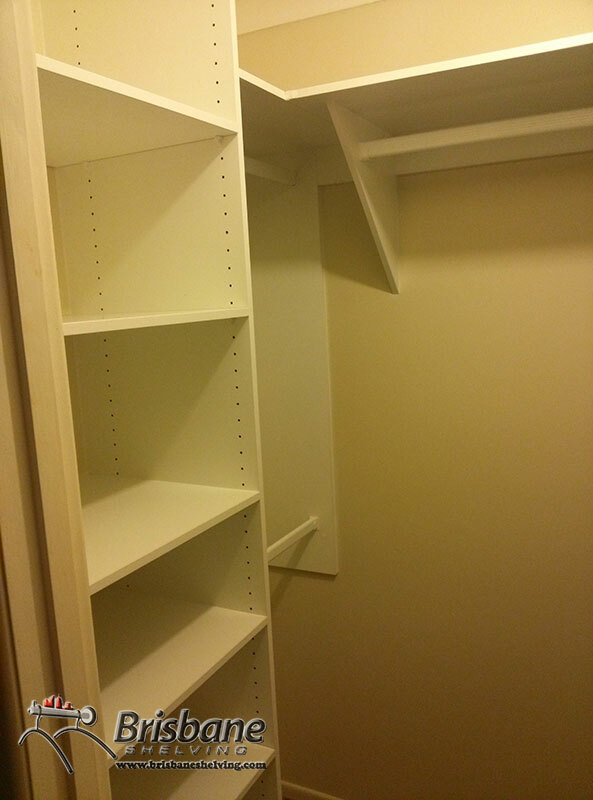 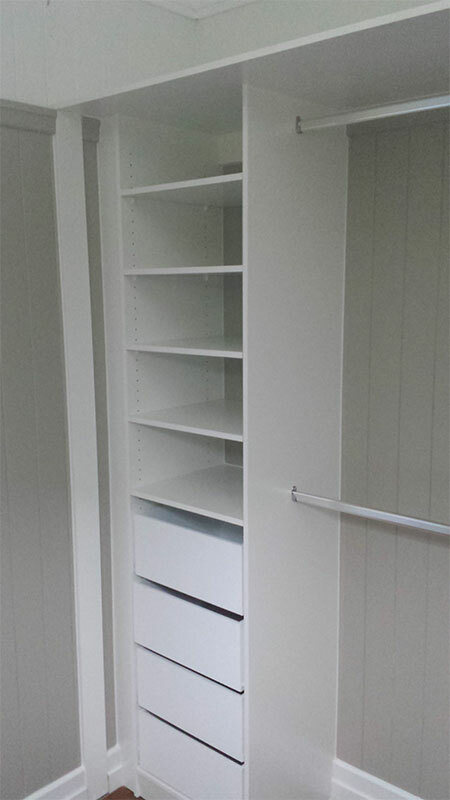 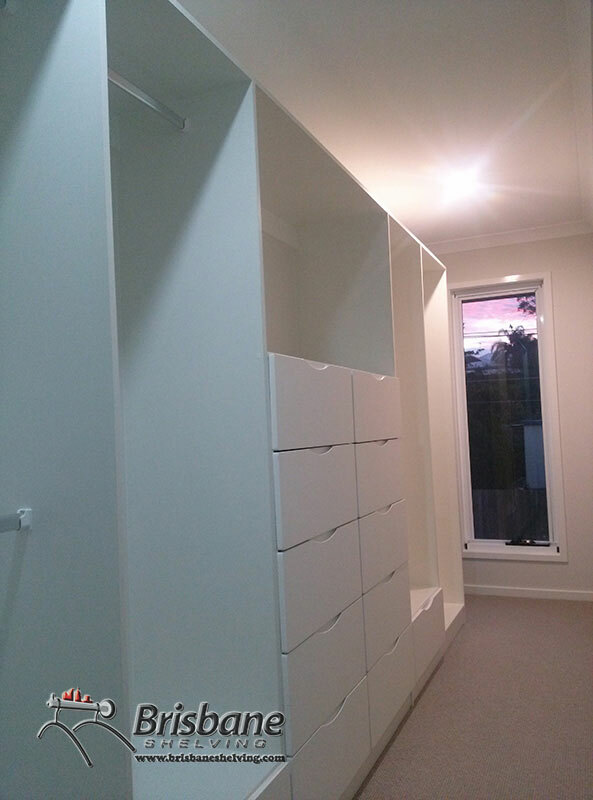 We offer an endless palette of layouts, finishes, styles, colours and fittings for our built out wardrobes, flat pack wardrobes and DIY sliding wardrobes in North Brisbane and the Brisbane area. 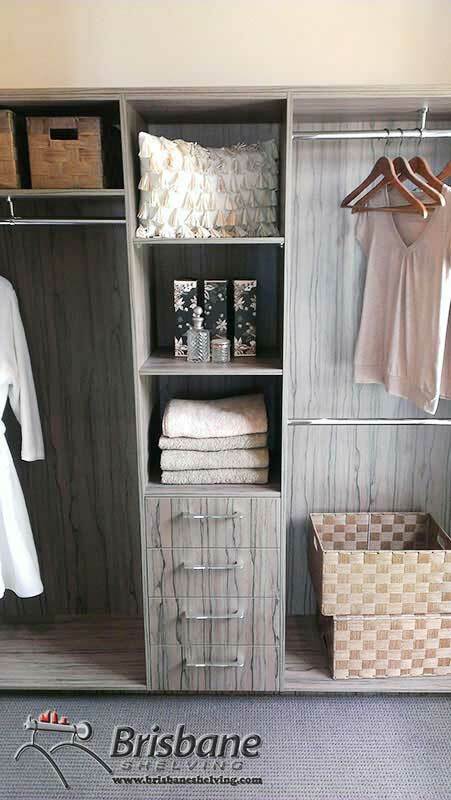 You’ve probably found yourself in a situation where choosing the right product and design for your needs was stressful and time-consuming. 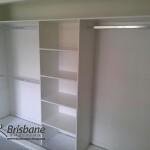 At Brisbane Shelving, our skilled staff will give you full support during the entire course of research, evaluation, design and the installation process. 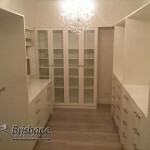 Our friendly and highly experienced consultants will visit you anywhere in Brisbane and also in south east Queensland to provide advice, information and recommendations on suitable design choices and finishes. 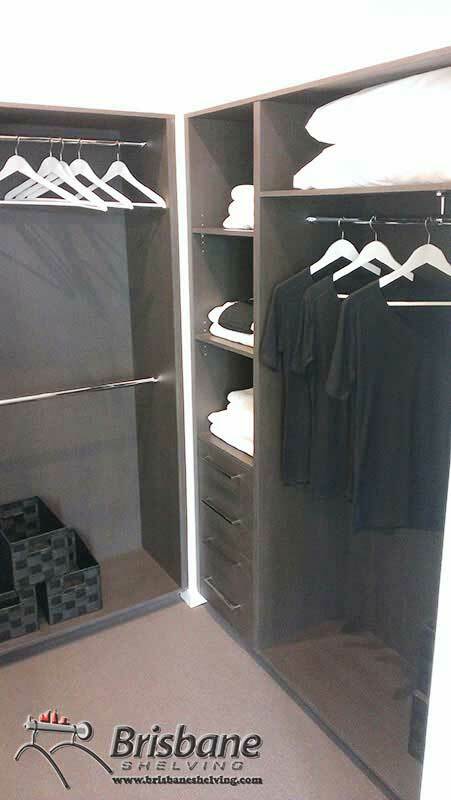 We’ll then show you samples of our wardrobe inserts, products and colour patterns to help you in your decision-making process. 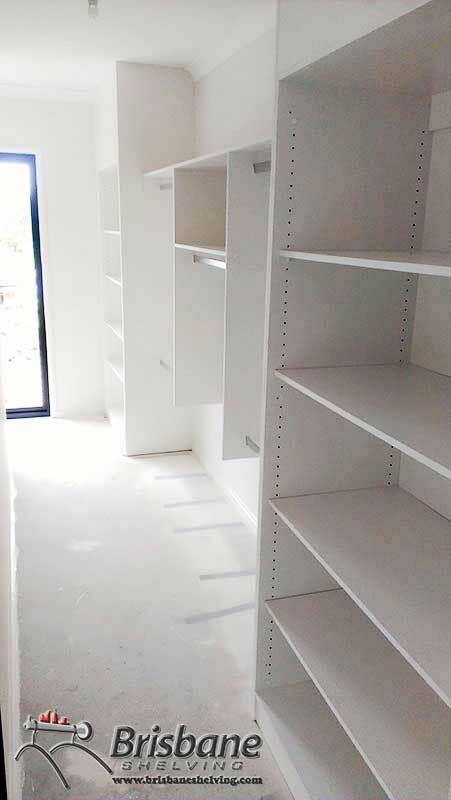 Finally a complete and detailed commitment, responsibility and cost free measure and quotation are ensured to fit your choices and your budget. 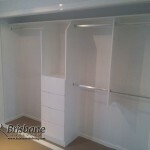 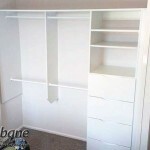 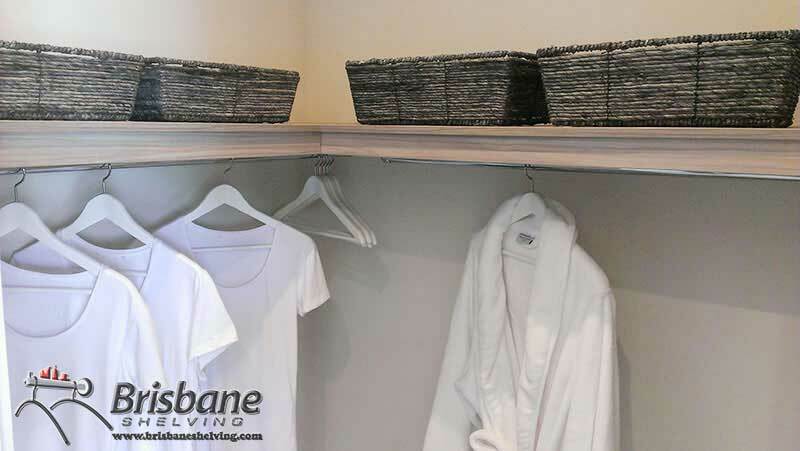 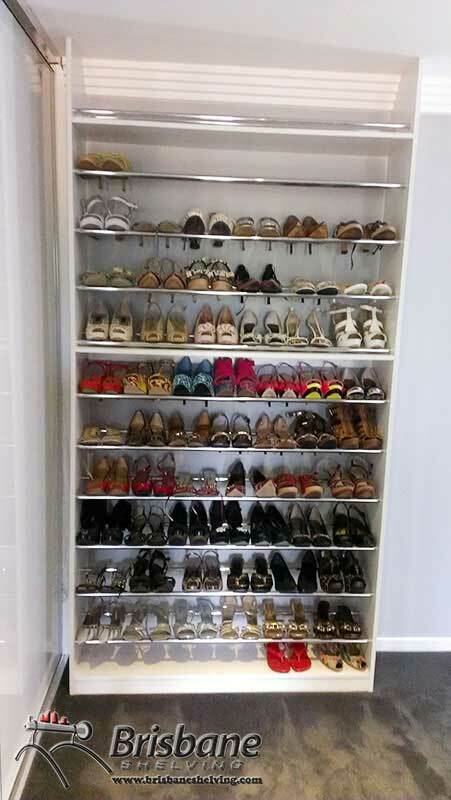 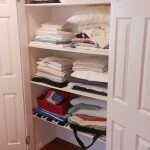 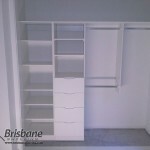 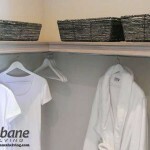 If you are either modernising or a proprietor who needs help arranging your clothes, shoes, linen, coats, bags and other storage items, look no further than Brisbane Shelving for cutting edge craftsmanship, made-to-fit and affordable designer wardrobes available in South Brisbane, North Brisbane and the Brisbane CBD. 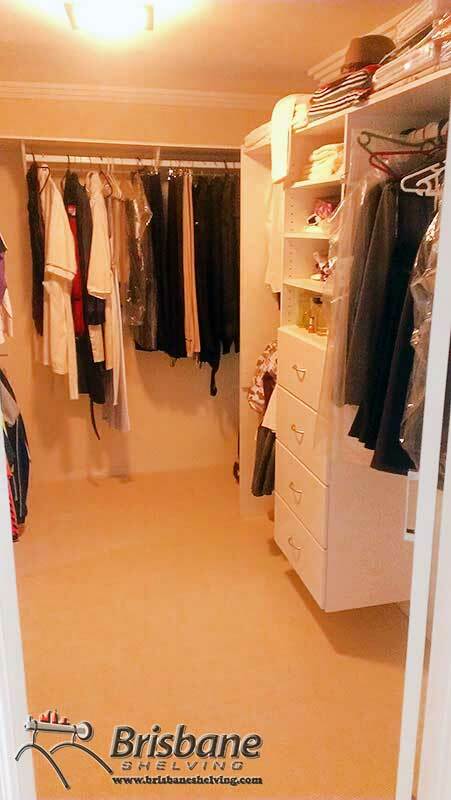 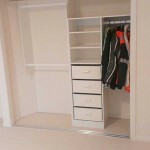 Your ideal wardrobe can be custom designed to your requirements with a vast selection of styles. 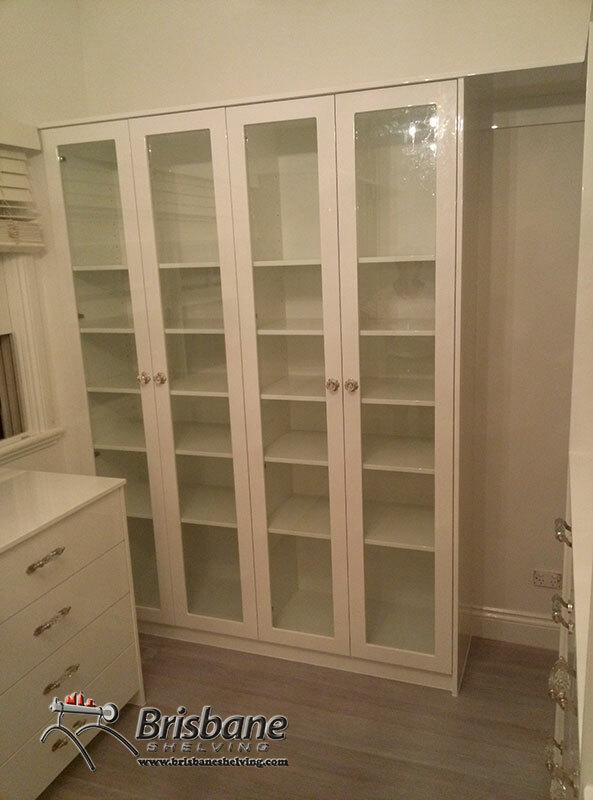 Choose from a wide pallet of finishes, colours and sheens, or order raw custom wood ready for painting in the colour of your choice – or include our wardrobe inserts and custom wardrobe shelving as part of your chosen wardrobe fitouts. 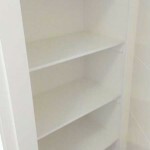 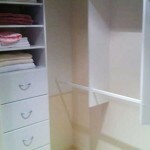 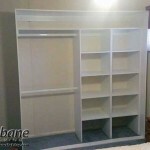 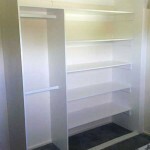 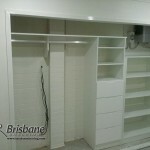 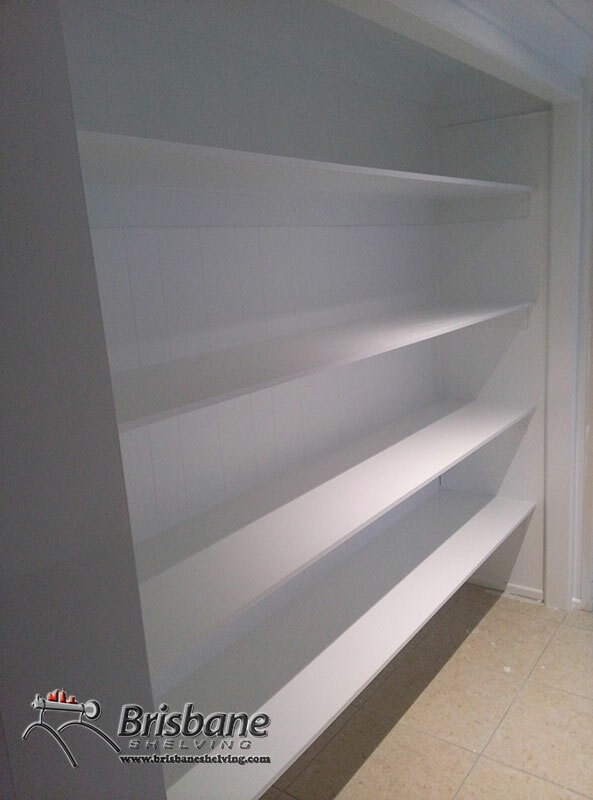 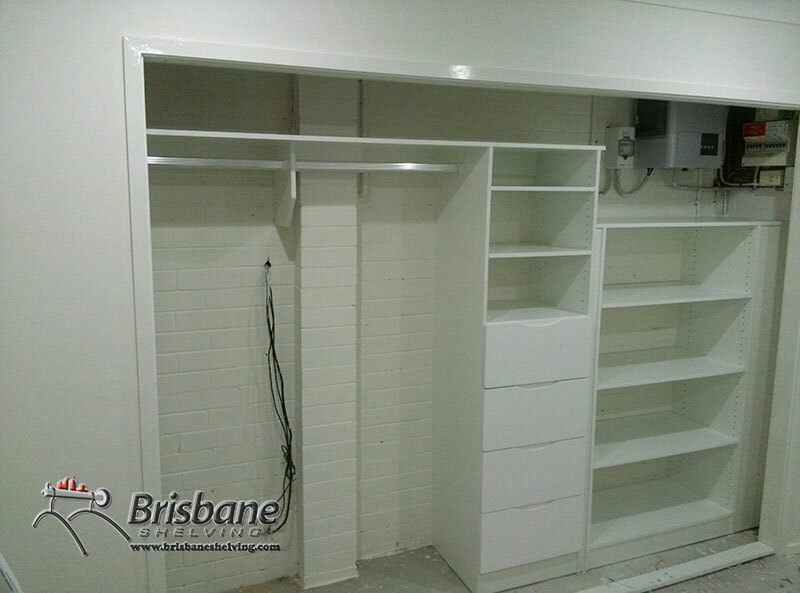 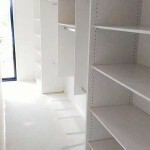 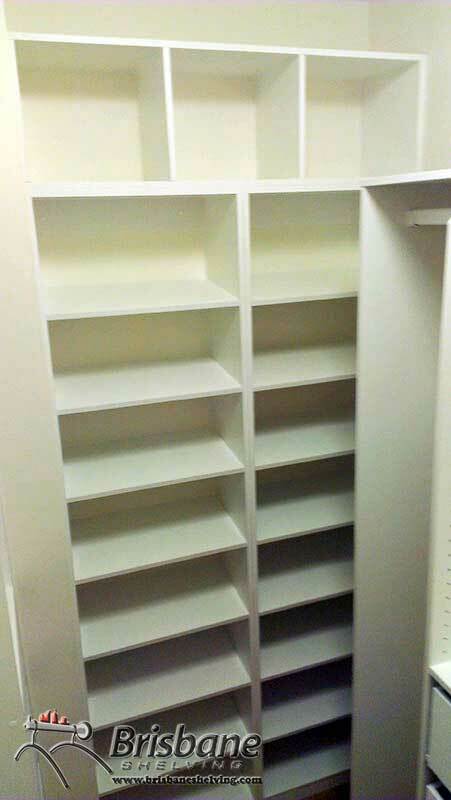 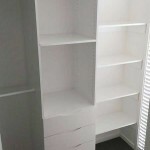 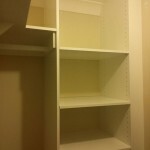 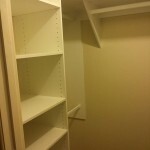 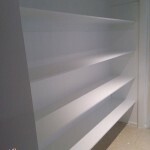 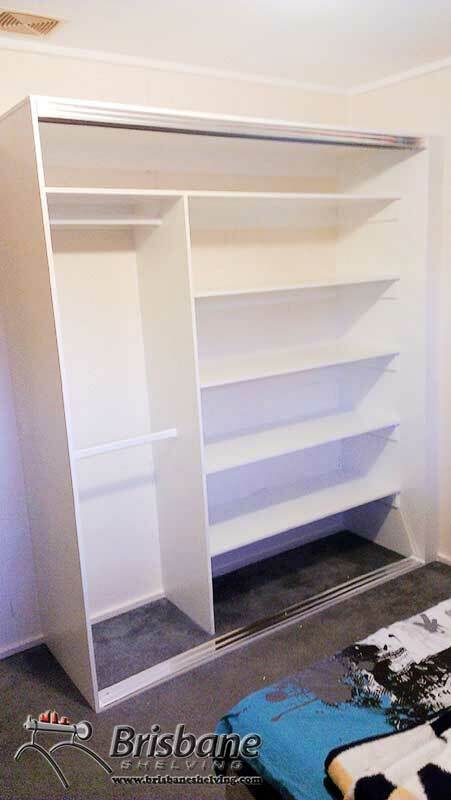 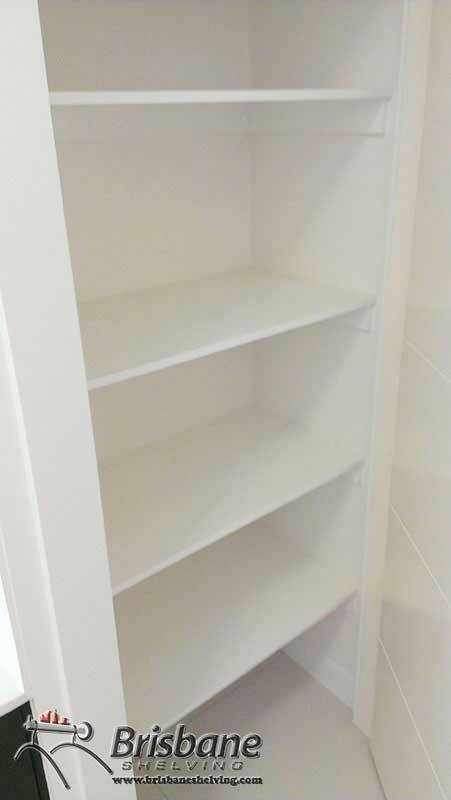 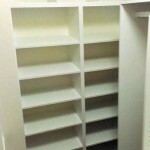 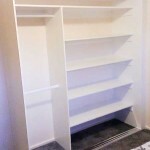 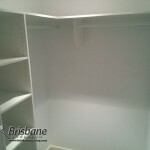 We offer a range of shelving to Brisbane CBD-based clients. 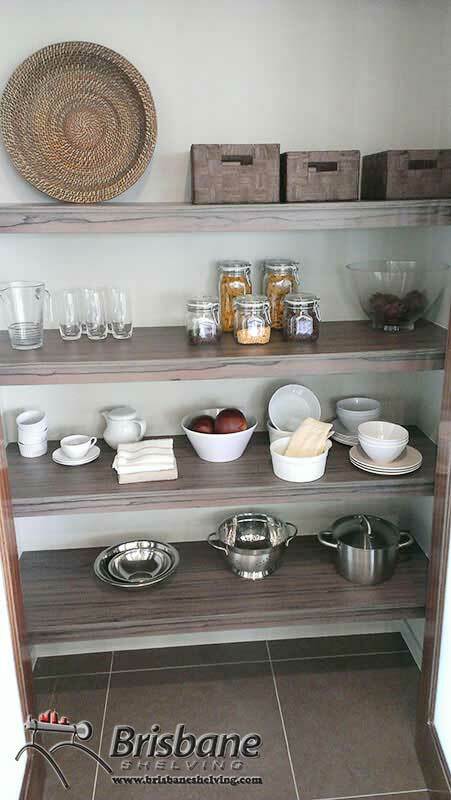 Consider the refinement of our collection and the convenience. 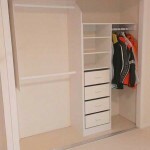 They are provided with easy access to items located at the back of your wardrobe. 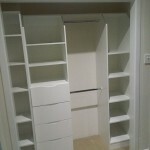 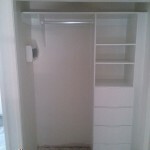 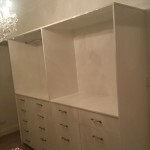 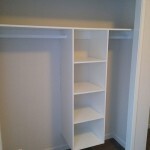 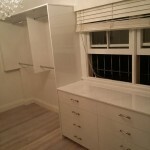 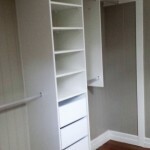 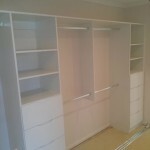 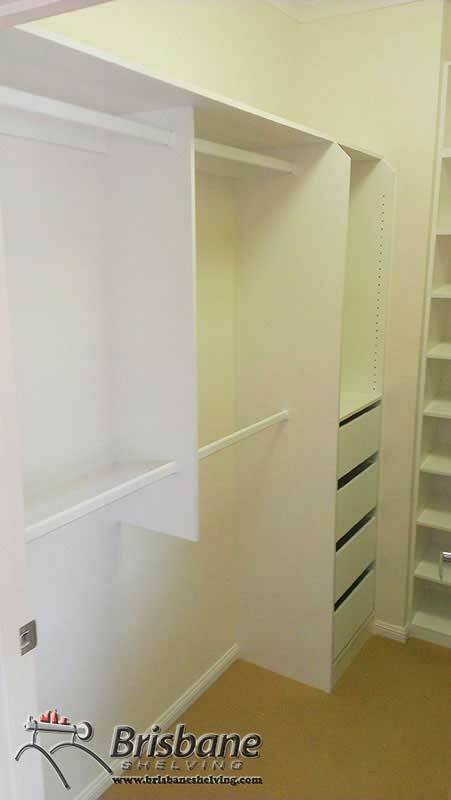 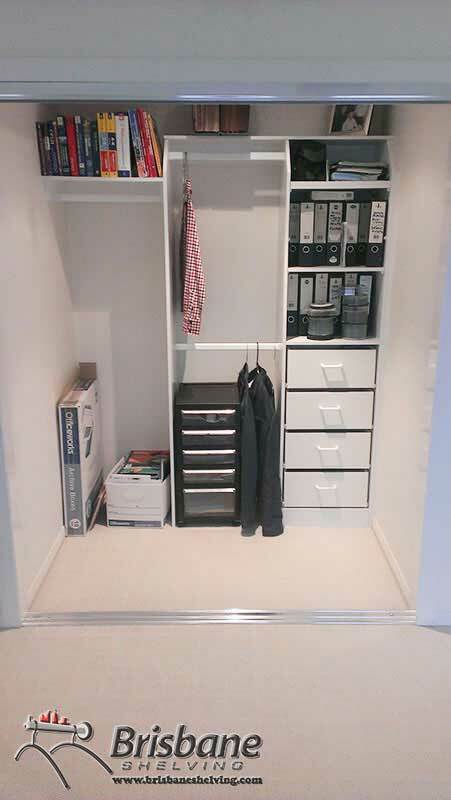 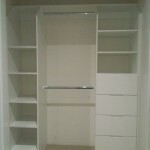 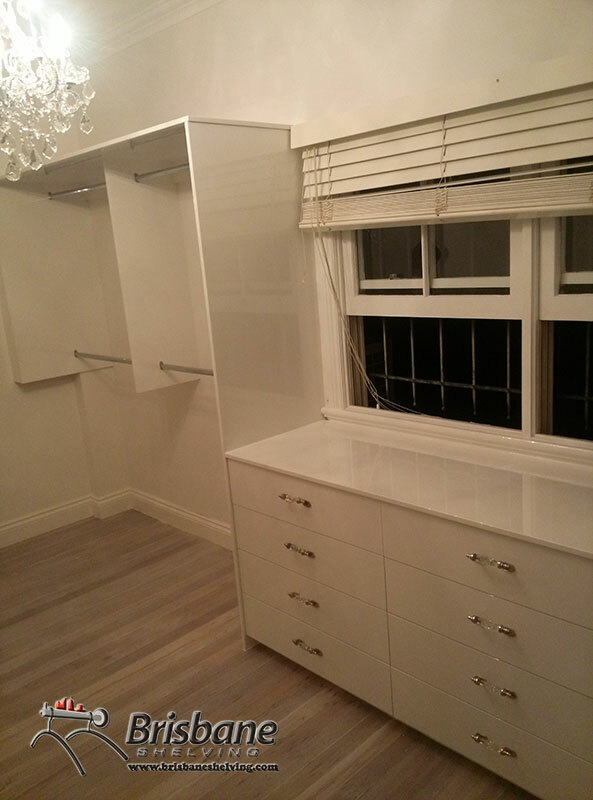 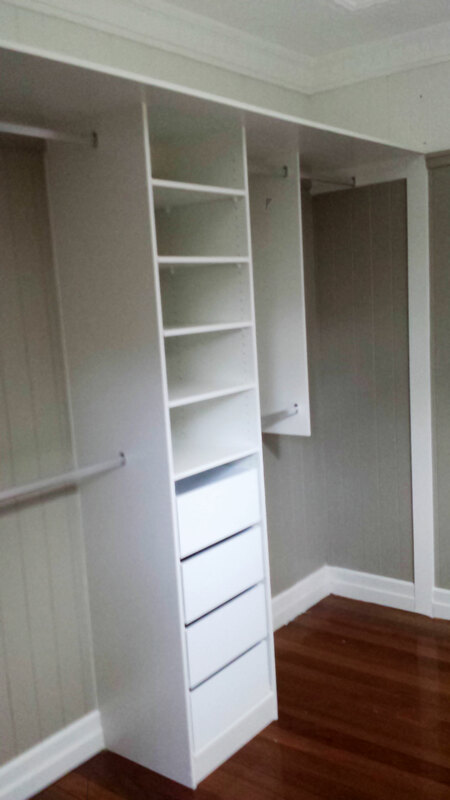 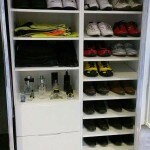 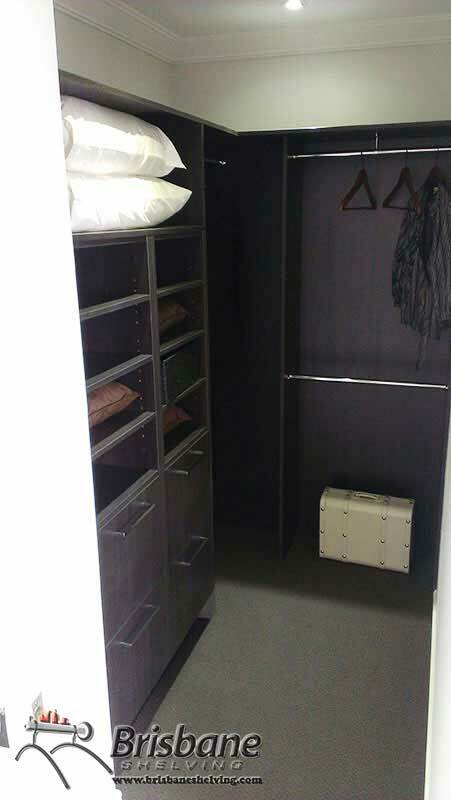 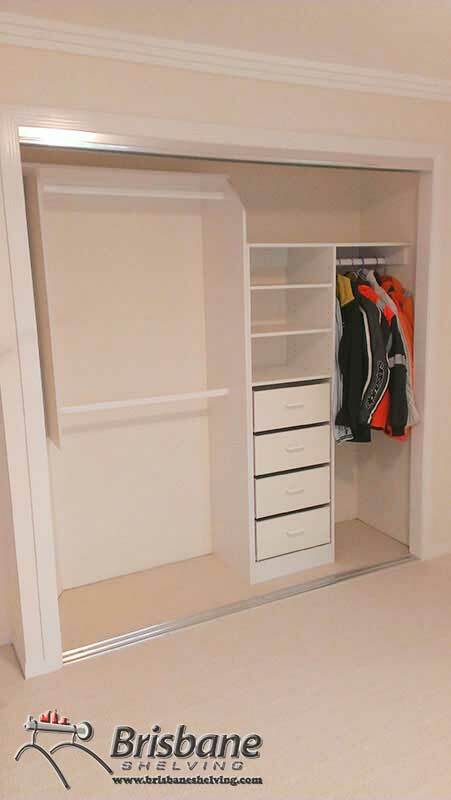 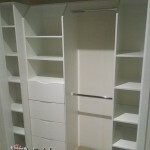 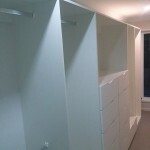 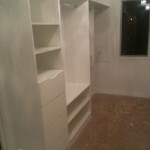 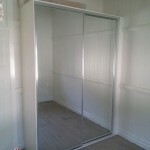 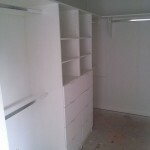 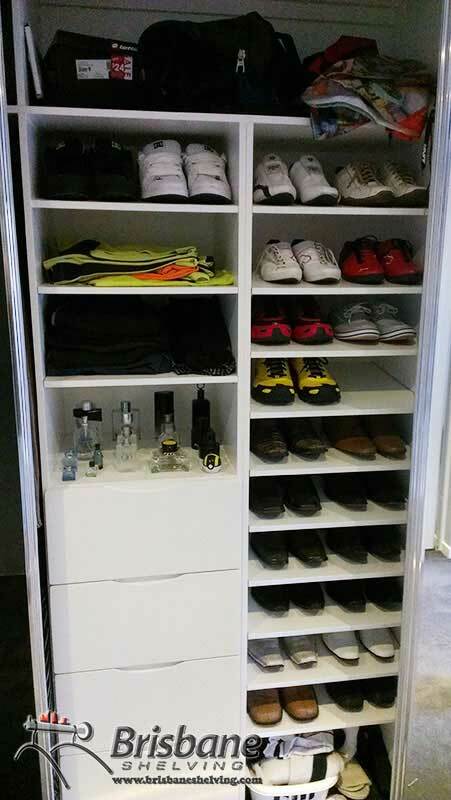 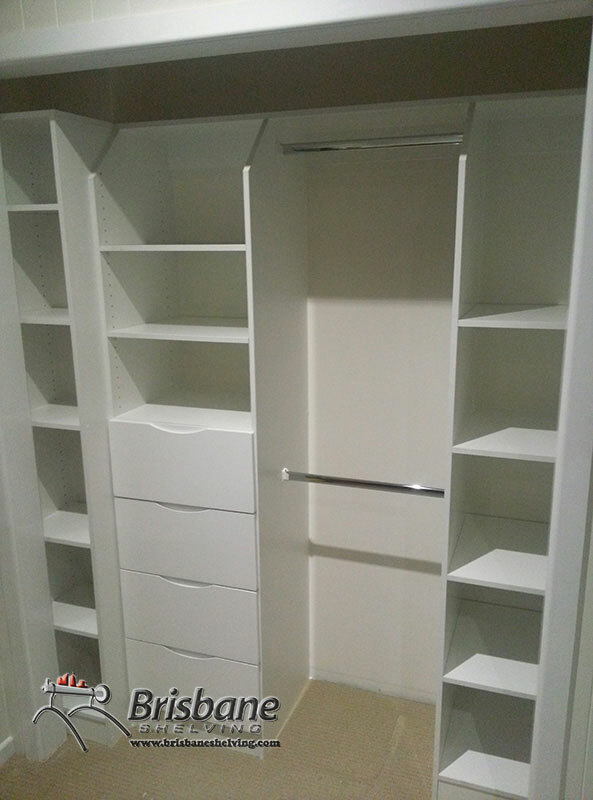 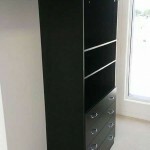 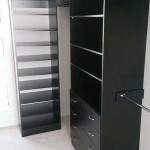 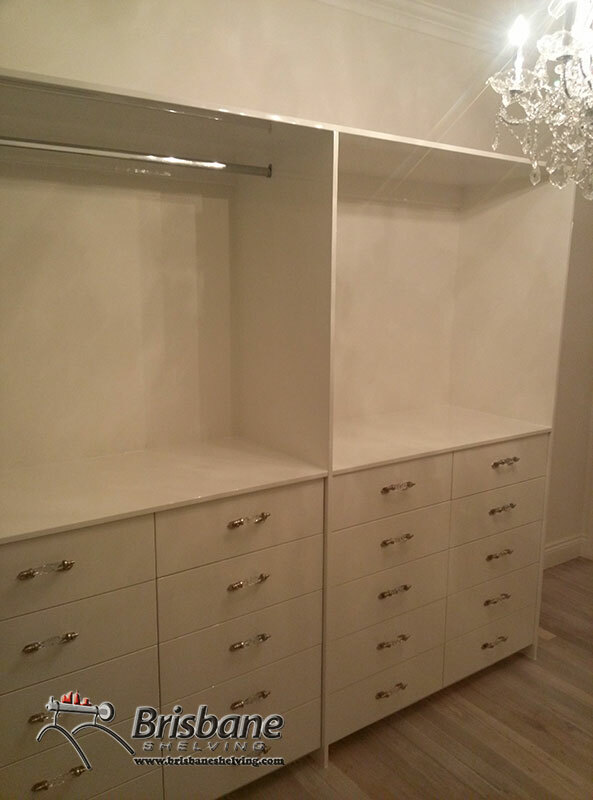 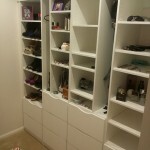 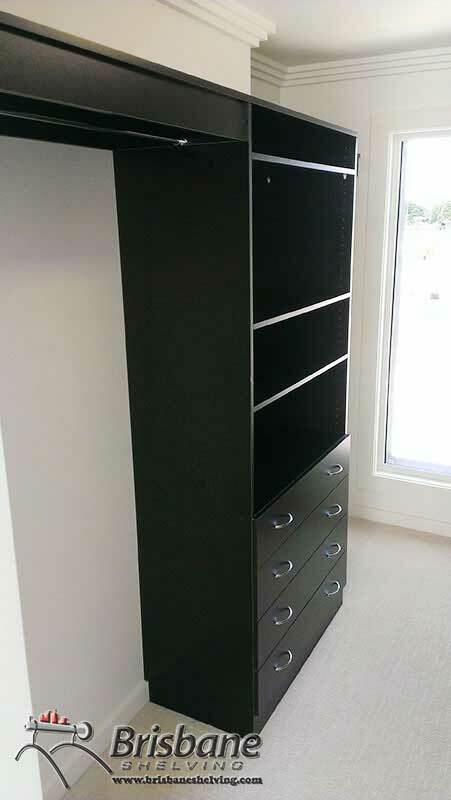 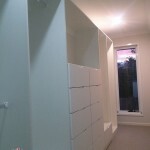 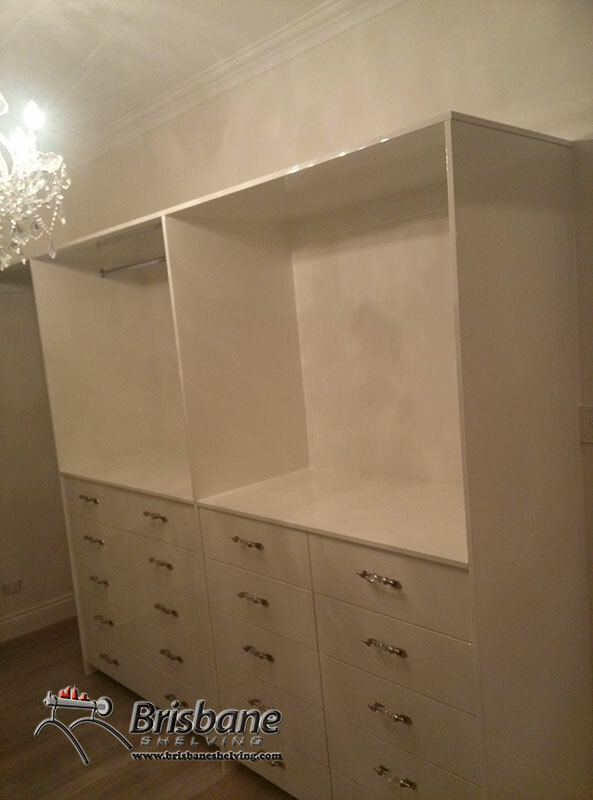 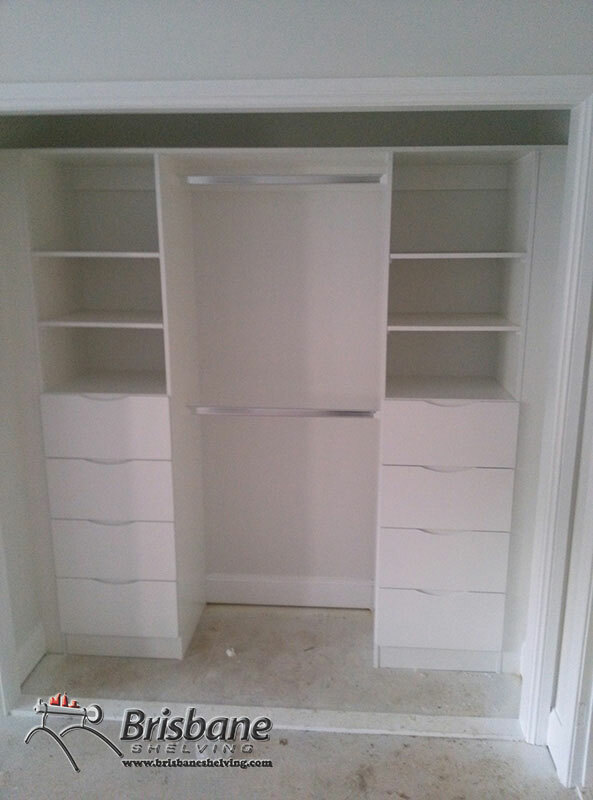 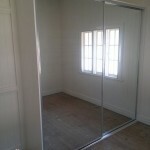 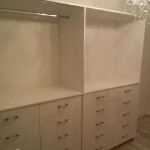 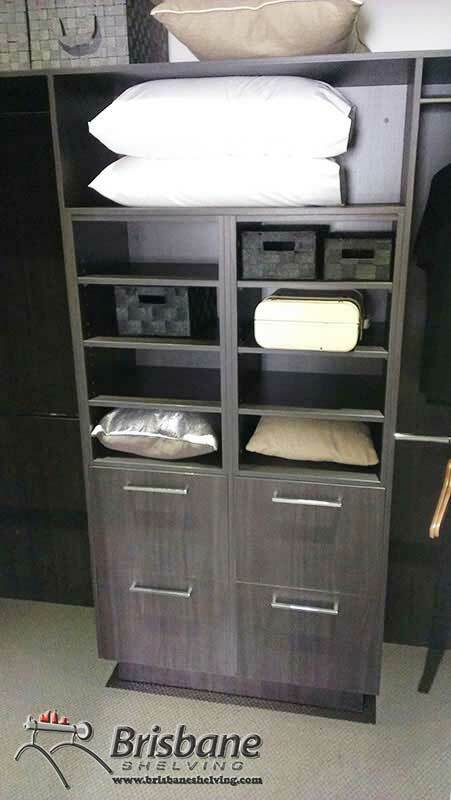 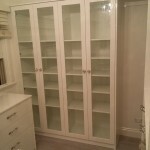 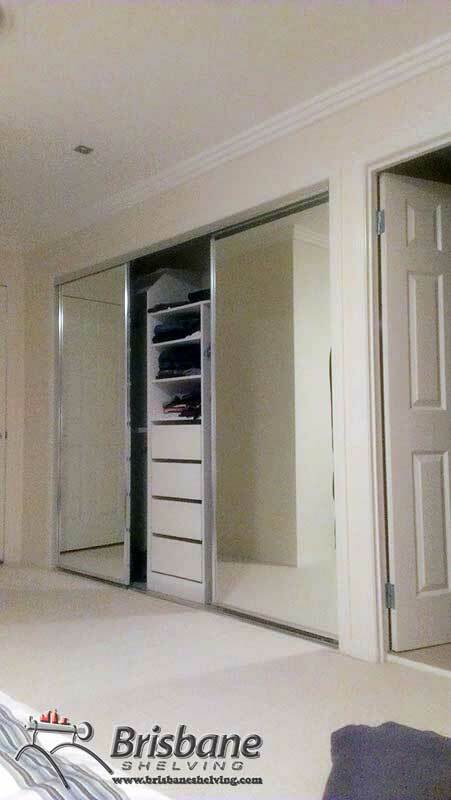 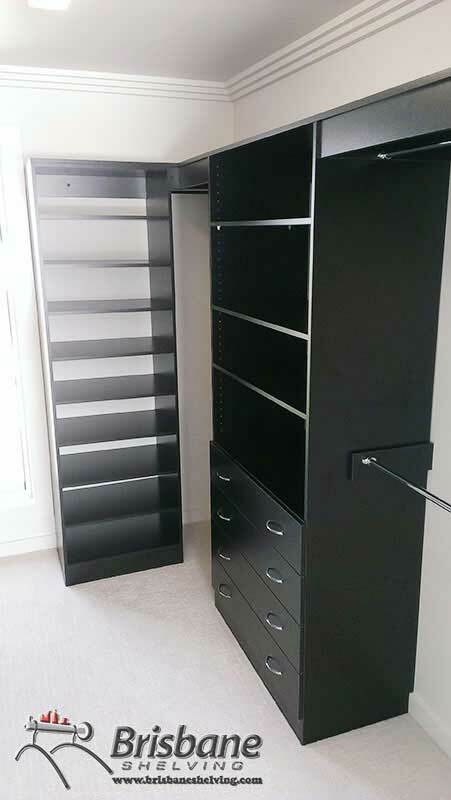 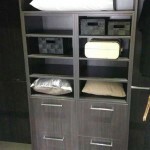 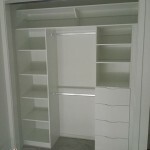 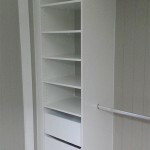 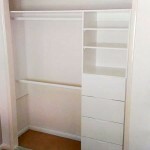 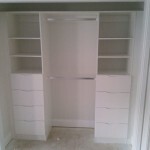 Our wardrobes are fully customised to your specifications. 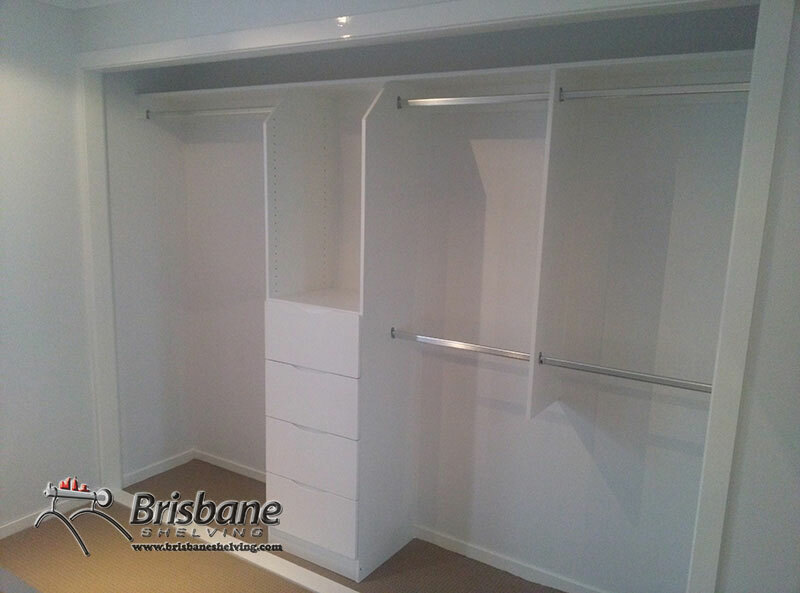 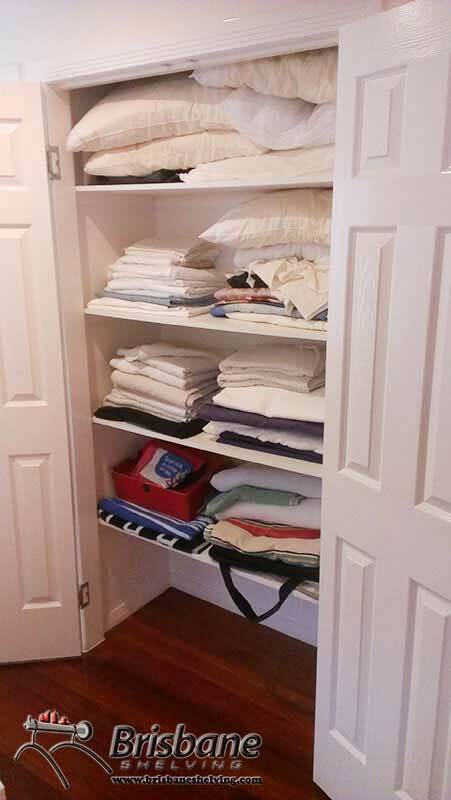 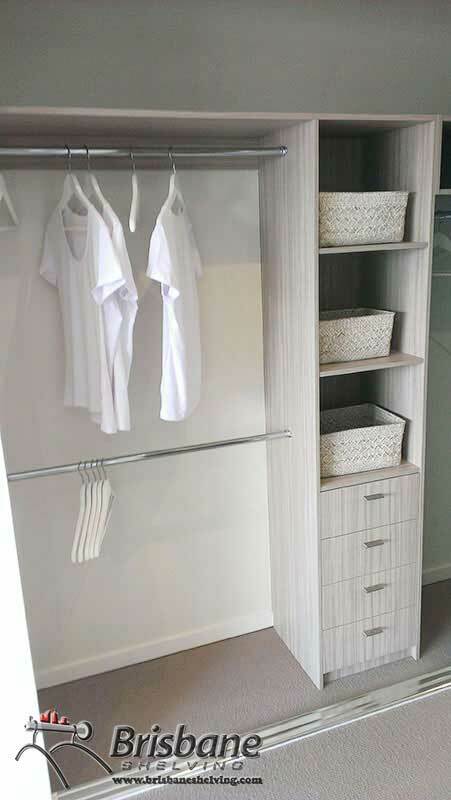 From clothes and small items to ironing boards or surfboards, a custom wardrobe will keep your belongings safe, create space and reform the image of your home. 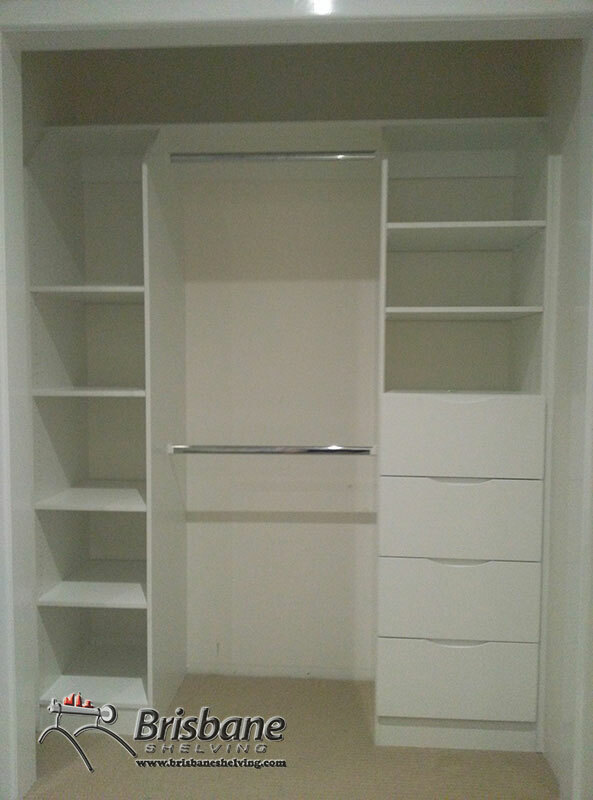 Get in touch with one of our helpful and fully trained employees to discuss various options for your potential customised wardrobe. 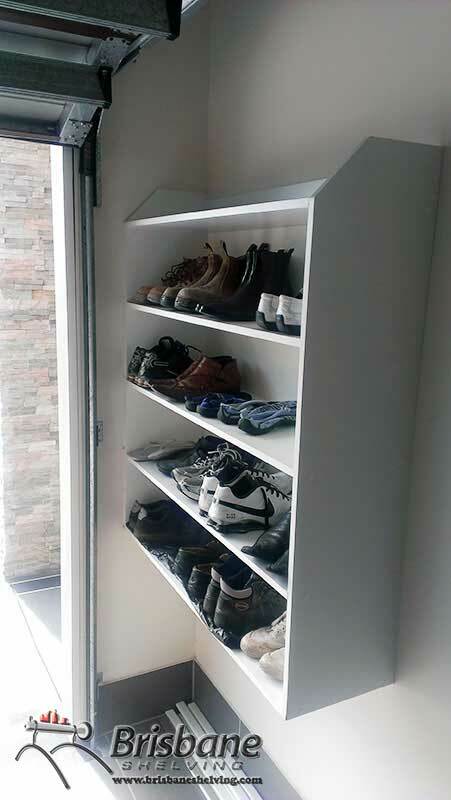 You can choose from a wide selection of pre-designed solutions or let us know about your inspiring ideas made to suit your needs. 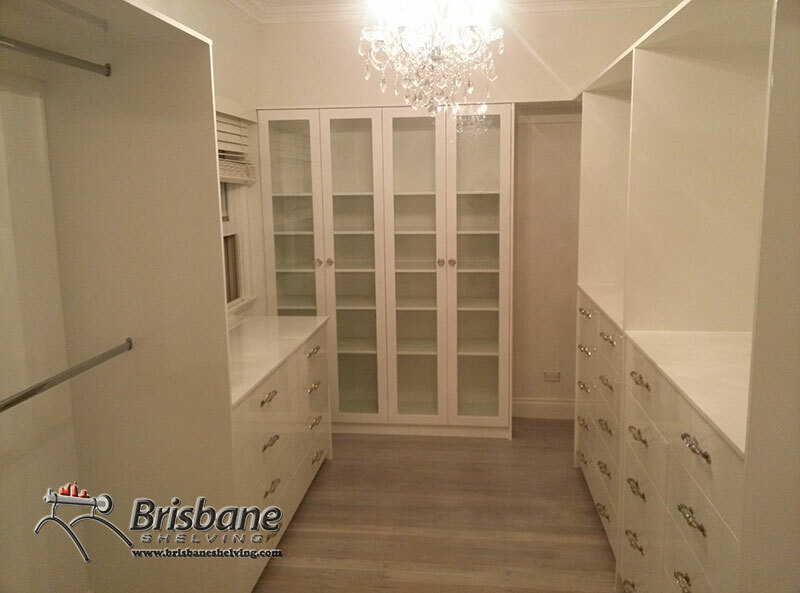 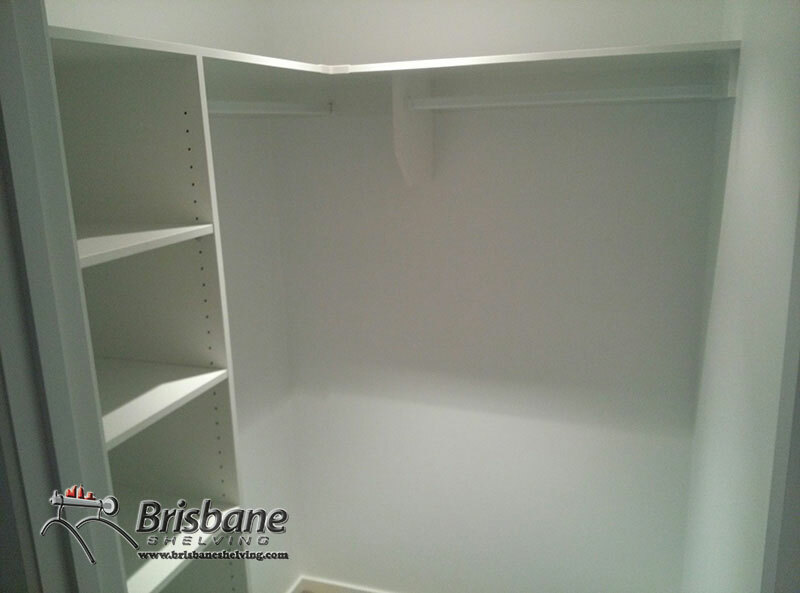 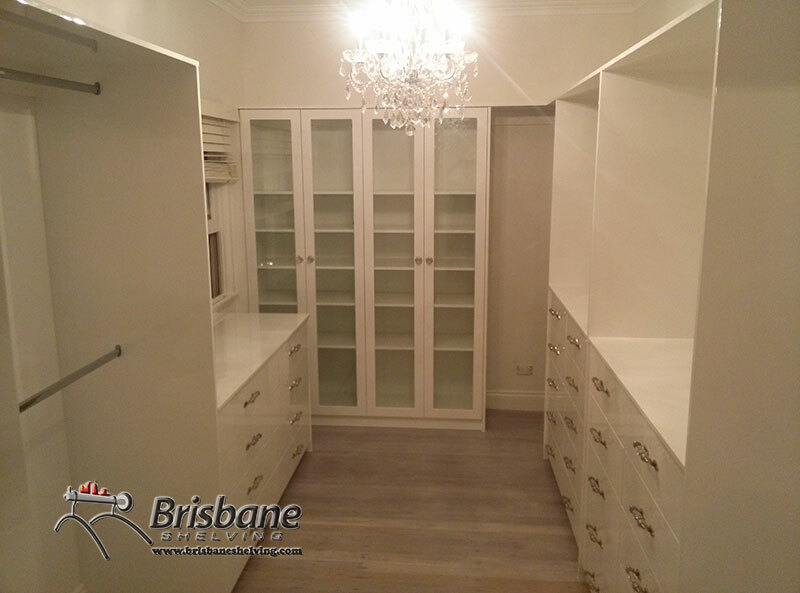 We truly excel at creating excellent residential wardrobes and pantry shelving in the Brisbane CBD, South Brisbane and North Brisbane. 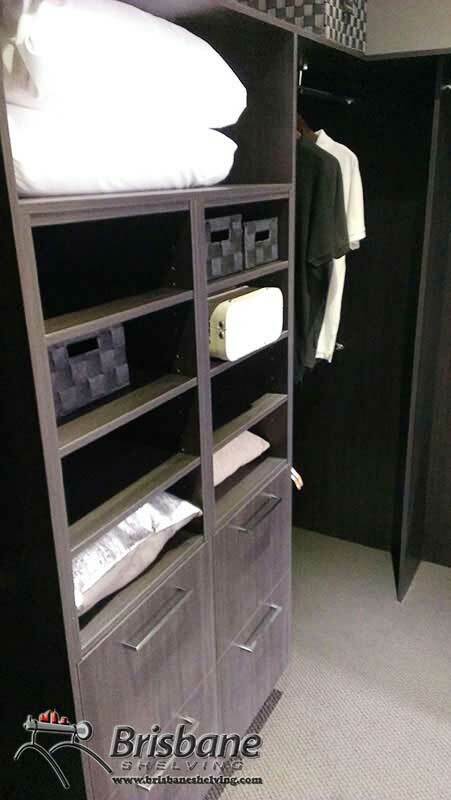 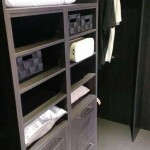 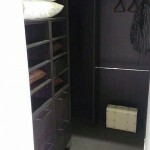 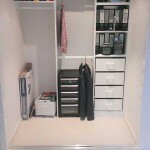 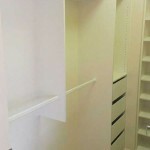 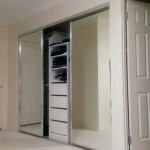 Alternatively, take a look at our sister site, Imperium Wardrobes and Showerscreens for more custom wardrobes.